Electronic LCD Drawing Pad – Only $12.99! 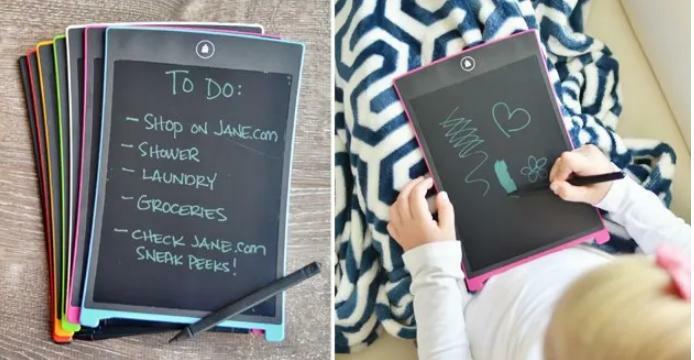 Eliminate the need for paper, scratch pads and sticky notes – simply write and erase. The image stays as long as you need it to and can be erased with the touch of a button. Create again and again, without the need to charge or connect.